Walmart Store No. 100 sits directly across the street from the Walmart Home Office. Walton Boulevard separates the two. Credit: Mike Quain. The phrase “company town” usually brings to mind images of textile mill towns in 19th century Connecticut or mining towns in 20th century Appalachia. But over the last four decades, northwest Arkansas—where I grew up—has become a 21st century company region. Walmart’s corporate offices and the offices of hundreds of its suppliers are located here, its influence ubiquitous and inescapable. Rogers High School, my alma mater, is about three miles down the road from Walmart No. 1. There are 20 Walmart stores within 10 miles of my family’s farm. Everything from the local bank to the ice cream parlour to the main boulevard is branded by this corporate juggernaut, still the world’s largest retailer. But the relationship between Walmart and the fabric of the northwest Arkansas community whose livelihoods it dominates is complicated. Many of the cultural shifts Walmart claims to have brought to our region are often hollow and performative. As Walmart came to dominate the region’s economy over the decades since the first store opened in 1962, it has had a noticeable effect on the area’s culture. Before the advent of Walmart, apple orchards and livestock pastures dominated the region’s landscape, and the culture was correspondingly rural. Now, Walmart is the largest private employer in the state with 18,000 employees, and its need to attract top business talent to work in its corporate offices gives it a vested interest in making northwest Arkansas an attractive place to live for folks from far-off urban centers. Because we didn’t have an existing cultural infrastructure that would lure city-dwellers to the mountains, Walmart made one. The Walton family’s philanthropy and Walmart itself pours millions of dollars into the region, funding downtown development, new charter and private prep schools, and artistic ventures. They have funded construction of two large concert venues right off the highway—one that hosts outdoor concerts and another dedicated to the fine arts. But one of the Waltons’ most significant contributions to northwest Arkansas is Crystal Bridges Museum of American Art—the brainchild of Alice Walton, daughter of Walmart Founder Sam Walton, and one of the most controversial museums in the country. Crystal Bridges is strange. It’s a multi-billion dollar museum plopped down in the middle of an Arkansas forest. It contains millions of dollars’ worth of foundational American art pieces—Gilbert Stuart’s iconic portrait of George Washington, Asher Durand’s Kindred Spirits, Norman Rockwell’s Rosie the Riveter—housed in a space designed by world-renowned architect Moshe Safdie in a town of less than 50,000 people. The $1.4 billion Crystal Bridges Museum of American Art draws visitors to rural Bentonville. Credit: Mike Quain. The museum is surrounded by walking trails dotted with other museum acquisitions—a Frank Lloyd Wright house that the museum shipped from New Jersey and rebuilt in the trees, an installation of Chihuly blown glass sculptures, a huge dome designed by R. Buckminster Fuller. Its collection wouldn’t be out of place in New York City or one of the Smithsonians, and its presence here is still surprising, a sign of the metropolitanism that’s coming to eclipse our corner of the world. Because of a Walmart-funded endowment, there’s no cost to visit Crystal Bridges. Northwest Arkansas is a couple hours from the nearest city—Tulsa, Oklahoma—and traveling to other big cities like New York or San Francisco is expensive enough to be unaffordable for most working-class families. That means the museum has opened up an entire world of art and ideas to Ozarkians—those born in the northwest Arkansas hills as well as newcomers—who might otherwise have never been exposed to them. The museum has also jumpstarted Bentonville’s tourist economy. Many of the people you run into in Bentonville these days don’t live in northwest Arkansas—they’re visitors, either in town to sightsee or in town to do business with Walmart. Most residents don’t question Walmart and the Waltons’ actions in the community, because the company has been so instrumental in our region’s economic development. But there are those—both residents and visitors—who find some parts of northwest Arkansas’s curated kitschiness disingenuous. The original Walton's Five & Dime now serves as The Walmart Museum on the Bentonville town square. Credit: Mike Quain. As part of their attempts to make Rogers and Bentonville an appealing alternative to urban coastal regions, many Walton-funded projects champion diversity and inclusivity. This, combined with northwest Arkansas’ rapidly changing demographics and increased cosmopolitanism, has given the region—which voted 60 percent for Donald Trump in the 2016 presidential election—a façade of liberal and progressive values. Crystal Bridges recently showed a Walton Foundation-funded exhibit called “Border Cantos,” composed of art by immigrants who had crossed the US-Mexico border. It was meant to highlight their experiences and give local Latinx immigrants the chance to experience art that is reflective of their own cultural experience. With exhibits such as “Border Cantos” and a recent exhibit entitled “Black Unity” that advocated a view of social justice that “transcends color and class,” in addition to recent acquisitions of pieces by indigenous artists, the museum has tried to establish itself—and, by extension, northwest Arkansas—as forward-thinking. And to some extent, it has worked. I hung out at the museum for an afternoon this summer to ask visitors whether they thought northwest Arkansas was a progressive region, and Walmart a progressive company. Almost unequivocally, the answer was yes—even from people who live in other, bluer parts of the state like Little Rock. Clarissa Clark, a northwest Arkansas-based vice president for Shell Global, stepped aside from exploring the Frank Lloyd Wright house to answer my question. She’s worked in the area—and worked closely with Walmart—for two decades. She was initially hesitant to speak with me on the record because I was asking about the company. Crystal Bridges isn’t the only museum in town. The Walmart Museum, located in downtown Bentonville directly across the street from the towering Confederate statue, hosted an exhibit earlier this summer called “Respect for All.” The exhibit was curated by Alan Dranow, the Senior Director of the Walmart Heritage Group, who himself is an ex-urbanite originally from California. The exhibit highlights what Dranow calls the “company’s embracing of our basic beliefs of respect,” focusing on women and people of color that have held executive positions at the company since its founding, and including a video where many of them extol the virtues of their experiences working at Walmart. Onyx Coffee Lab is among many businesses that have opened their doors in downtown Bentonville over the last few years. Credit: Mike Quain. But beneath the glossy exhibits and appeals to diversity lies a sea of contradictions. 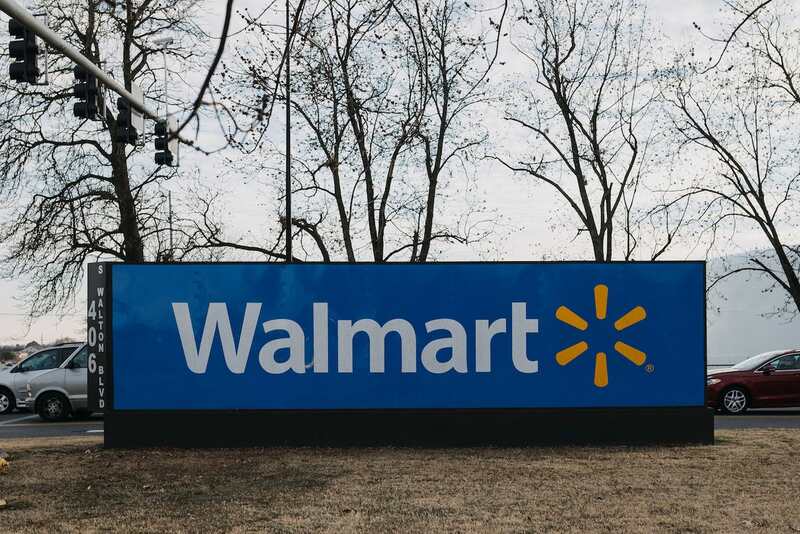 Walmart has a history of accusations of gender discrimination, culminating in a 2004 lawsuit that alleged the retailer made an institutional practice of failing to promote women to managerial positions. Although it has since refocused its hiring process to increase diversity, a recent study found massive gender discrepancies in its workforce and in its job postings, especially for corporate jobs. Tyson Foods, another northwest Arkansas based company that was one of the original sponsors of Crystal Bridges and whose name is engraved in the museum’s steps, is well-known for unfair labor policies and anti-union practices in its poultry factories—which, in northwest Arkansas, employ many Latinx immigrants and their families. In recent years, Walmart has also been charged with denying sick days to pregnant women, wage theft, and stocking its shelves with food products made by forced-laborers in prisons and enslaved persons abroad. Nationally, Walmart and Tyson have become symbols of corporate capitalism at its worst, known for their low wages, bad working conditions, and long hours. That’s true in northwest Arkansas too. A 2016 report showed that poultry workers face wage theft, discrimination, and pressure not to take sick days. Fernando Garcìa is an organizer with the Northwest Arkansas Workers’ Justice Center, a local organizing body that advocates on behalf of low-wage workers, particularly poultry workers in the area. “There are a lot of labor violations going on in the poultry plants, especially when workers do speak out about working conditions. Some have faced retaliation and some have been fired,” he said. Sometimes, he said, workers wear adult diapers to avoid urinating on themselves because they are often denied restroom breaks while on the poultry processing line. Tyson and Walmart are prominent forces in the state’s economy, and thus greatly influence state politics. As a result, state politicians are not eager to take up labor issues. The Northwest Arkansas Workers’ Justice Center has been trying to propose legislation to regulate poultry plant conditions, but cannot find an elected official to introduce the bill. The labor practices of the region’s most prominent employers dehumanize the very people whose existence their cultural investments flaunt—and this tension isn’t acknowledged in any of the public cultural contributions that Walmart has brought to northwest Arkansas. Erected during the height of the Jim Crow era, Bentonville's Confederate soldier statue still keeps watch over the town center, even in this new era of corporate multiculturalism.. Credit: Mike Quain. Downtown Bentonville, where a Confederate statue dominates the town square, also plays host to the Bentonville Film Festival (BFF), whose aim is to “champion women and diversity in all aspects of entertainment media.” The festival’s two largest sponsors are Walmart and Coca-Cola—and while the festival celebrates women and diversity, the company has a checkered and controversial history in its treatment of both. BFF’s celebration of progress and vision of the future is at odds with Bentonville’s self-consciously nostalgic 1950s downtown atmosphere. It also contrasts sharply with the region’s electoral politics. In fact, perhaps the most compelling indicators that the Walmart region’s progressive rhetoric has yet to fundamentally change the company or its town are northwest Arkansas’s political patterns. In the 2016 election, 63 percent of Benton County voters cast their ballots for Donald Trump. Hillary Clinton received less than 30 percent of the vote. Numbers were slightly better for Clinton in Washington County, which is historically more left-leaning and is home to the University of Arkansas. There, Trump received just over 50 percent and Clinton 40. But these two counties, with the highest concentration of Latinx immigrants in the state, are also the only two where local sheriff’s departments have partnered with ICE to hold undocumented immigrants under 287(g), a federal statutory program which allows state and local law enforcement to enforce federal immigration laws—including detaining and interrogating people who are thought to be undocumented. The state legislature—in many cases led by legislators from northwest Arkansas—hasn’t been overly friendly to immigrant communities, either. Sadaf and her fellow organizers also face harsh anti-immigrant sentiment from northwest Arkansas’ Congressional delegation. Representative Steve Womack and Senators John Boozman and Tom Cotton remain some of the most conservative voices in Congress. Cotton is the chief sponsor of the RAISE Act, a harsh “merit-based” immigration reform bill that would cut legal immigration to the country by over half in the next decade. There are candidates challenging this. Josh Mahony, a nonprofit executive and philanthropist with a family history of state politics, is challenging Womack as a Democratic candidate for House in the third district. And Robb Ryerse, a local pastor and a Brand New Congress-backed candidate for the U.S. House of Representatives from northwest Arkansas, is running in the same race as a progressive Republican. Tellingly, both candidates are white men. On their campaign websites, both make mention of Walmart as a positive force in the community. Mahony’s wife is a high-level employee of the company. In his view, Walmart’s corporate culture actually makes it easier for progressive policies to take hold in the state. But it’s worth questioning whether such corporate-founded progressivism allows room for real dialogue over worker’s justice issues. Ryerse and Mahony each hope that they can accomplish what the Arkansas Democratic Party has thus been unable to—win an unabashedly progressive campaign in northwest Arkansas, which has been a Republican stronghold in the state for several decades. But the loss of two progressive state legislature candidates in 2016—who ran on platforms championing public education, immigrant rights, the environment, and coalition-building—makes that seem unlikely. Northwest Arkansas’ surface-level commitment to diversity hasn’t yet been strong enough to sway conservative voters to translating that commitment into political reality. This isn’t coincidental. Walmart’s corporate infrastructure is propped up by the good ol’ boys of the Ozarks—evangelical Christians who populate the region’s business colleges and universities, and state representatives who were some of the most vocal opponents of Medicaid expansion in the state. The Waltons have quite literally built business schools and a vision of Christian capitalism at many of the area’s most conservative religious universities—and hired many of the graduates of these programs to work in their home offices. These folks haven’t had their minds changed by Walmart’s presence or its continued vocabulary of diversity and inclusion in the workplace. Most of the area’s legislators—both state and federal—are funded at least in part by Walton money, either through a member of the Walton family or one of their affiliated PACs. And in this state, the candidates who are the most business-friendly tend to be the least socially progressive. Walmart is, at its core, a business. It is concerned with profits, not people—no matter how much it may present otherwise. The smiling faces of female managers lining the walls of Walmart’s museum, the Crystal Bridges exhibits highlighting diverse experiences and viewpoints, and the BFF all exist at least in part because Walmart—and the family that owns it—want to show the world that they know how to be humane and inclusive. What should racial and economic justice look like in a town where corporate interests dominate the political conversation? Right now, as Arkansas’s progressives rebuild following a right-wing sweep of statewide elections in 2014 (the Tea Party arrived late, but came with a vengeance), there’s no real agreement. There’s just a generally unspoken consensus that free money from the Waltons—even if it comes with strings attached—shouldn’t be turned down. The anti-capitalist, anti-corporate views that much of the American left espouses have yet to take significant hold in northwest Arkansas, even among young people. For now, much of northwest Arkansas’ population seems content to accept Walmart’s gifts, often without questioning its methods or motives. Those who are skeptical of the Waltons—both community organizations and politicians—often accept Walton funding anyway because there are so few funding alternatives. This means that the Waltons and their network will continue to fund economic and cultural development in northwest Arkansas exactly as they please—and continue to sidestep the complexity of the questions raised by their dominance over our hometown. The reality of being stuck with it, for better and for worse, remains one of the core pieces of life in a company town. Olivia Paschal is an undergraduate at Yale University who calls Rogers, Arkansas home. Her research has focused on race, religion, and violence in the South. She is the co-founder of Go South, an organization that supports Southern communities and increases the number of Ivy League students who return to work at Southern nonprofits.